A group of Oakland parents plan to go before the school board on Wednesday to lobby for what they are calling an opportunity ticket. The move comes in response to the Oakland Unified School District's looming plans to close or merge schools to help stabilize its budget problems, long-term. The idea, expected to be introduced by board member Jumoke Hinton Hodge, would amend current enrollment policy to create a priority "ticket" for parents whose children are in schools that the district will be closing or merging in its consolidation plans due out early next year. District enrollment has continued to decline, and district officials say they can’t keep all 87 schools open. Their initial analysis projects five years from now there will be more than 10,000 empty seats. The district’s early estimate is that it needs 24 fewer schools. A group of African-American and Latino parents wants a guarantee from the District that if it closes or merges their local school, affected students will be able to attend any district school they want, something that could potentially help desegregate some of the district’s most elite public schools located largely in wealthier neighborhoods. Lakisha Young heads the group, called Oakland Reach, which is behind the idea. "For so long in this city, there has been a large group of parents whose children have attended low-performing schools that even if they've had dreams for their children to go to college, those schools are not preparing them from college," said Young. "The opportunity ticket is about finally saying whatever the system does if schools close, merge, consolidate — whatever the word of the week is — the families who are going to be most negatively impacted and who are most often left behind, that those families actually have an opportunity and a pathway to a higher, better-quality option," said Young. OUSD head of enrollment Charles Wilson said he has been at the table with his charter school counterpart, Luis Rodriguez from Enroll Oakland, to consider revisions to the city-wide portfolio of schools that might allow for something like an opportunity ticket. Wilson said they are trying to take into account current and future charters so they are less in competition with district-run schools. The district currently has no say over which students charters choose to admit. Though required by law to provide a free, public education to all students who apply, critics say charters cherry-pick better students because parents savvy enough to seek better educational opportunities for their kids are considered a self-selecting group who are more engaged and have the skills to navigate the system. Oakland charters typically enroll higher performing students and also admit fewer students with disabilities, compared with the rest of district-run schools. "This is a dynamic time," said Wilson. "We should at least interrogate the idea of an opportunity ticket. Kids currently not being served by their home schools should have access to quality schools. The organizers have gotten a pretty darn diverse group together." While it has not taken a formal position yet, two members of a group called Equity Allies will be speaking in support of some of the core ideas behind the opportunity ticket at Wednesday's board meeting. 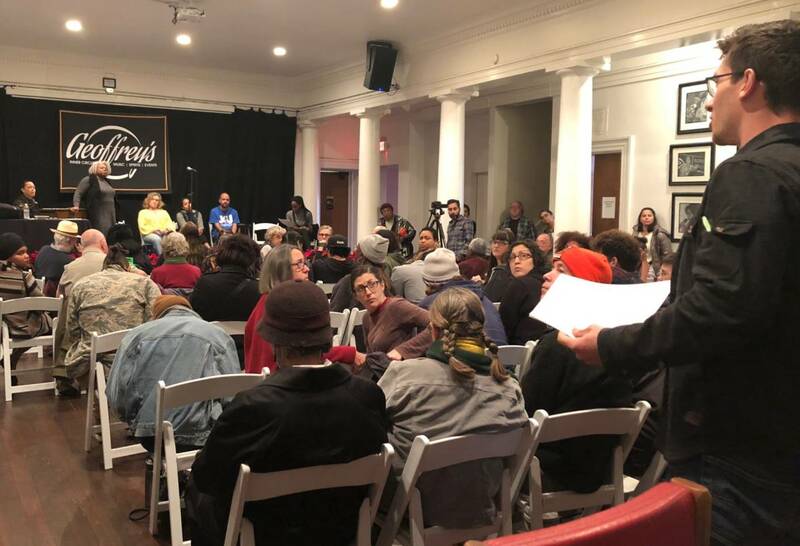 The group's members includes middle- and upper-middle class parents whose kids often attend the top schools in the district, where few slots are ever available to non-neighborhood children. 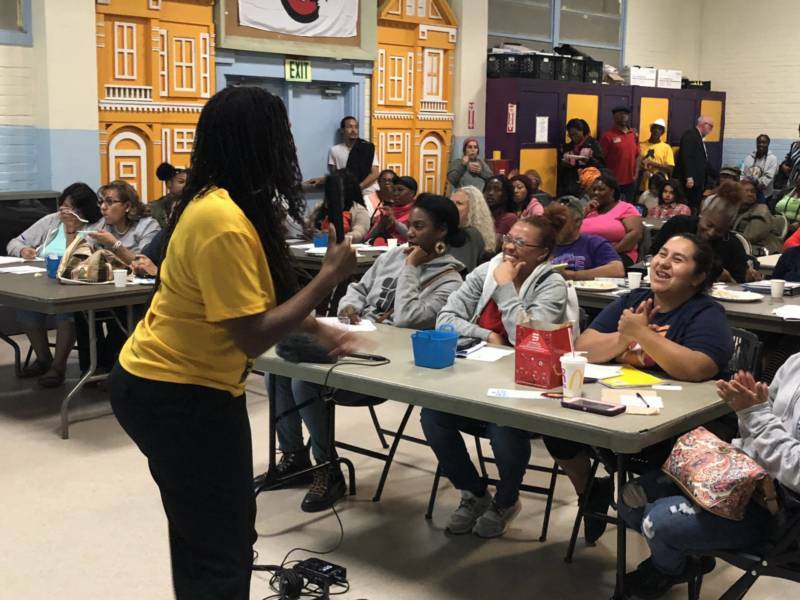 Equity Allies parents have been finding ways to share revenue raised by their local PTAs with schools that don’t have as many resources, as they try and look for ways to address inequities in the current system and their own schools. Member Nilofer Ahsan, mother of a student at Edna Brewer Middle School, says if parents are serious about creating more equitable schools in Oakland, this opportunity ticket idea is a way to start. But she predicts some parents who have spent large sums of money to buy into an enrollment area with top schools may resist the idea that a child with an opportunity ticket could potentially displace a neighborhood child. "I would say I'm for the opportunity ticket. And yes, I think all hell will break loose. Like all hell broke loose when Crocker tried to change its boundaries," said Ahsan, referring to Crocker Highlands Elementary. "That's the type of hell that, you know, these are the conversations we need to have. They are deep, they are painful. It's very difficult," Ahsan said. "But those are the conversations we need to have if there's going to be any change. And then I think that larger step is making sure that there are really good schools that are a real draw for all, spread around the city." School district spokesman John Sasaki said the district is currently looking at ways to ensure that students who attend a school that is closed or merged have an opportunity to go to a higher-performing school near them. But the idea of a priority "ticket" to any school in the district is not part of those discussions. Concerns over how charters would play into this potential reallocation of students is raising concerns. This past summer, the district recently passed a two-page resolution called Community of Schools, supported by Go Public Schools among others, which directs the superintendent to unite charters and district-run schools more tightly under one umbrella. Board member Shanthi Gonzales said she supports the idea of an opportunity ticket only if the choice is within district-run schools, not charters. 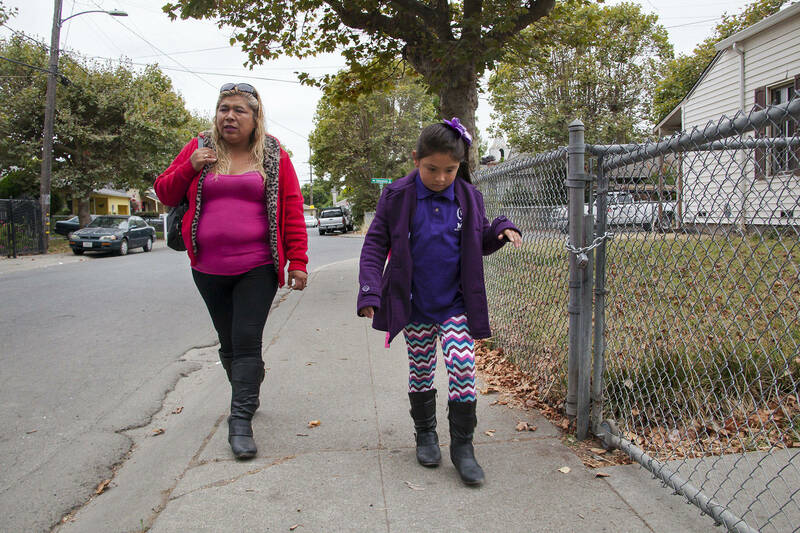 "Part of the reason we have to close schools is because of the declining enrollment situation, which is mostly due to the large number of charter schools in Oakland," said Gonzales. "So it doesn’t make sense for us to facilitate the exit of students for charter schools. That will only lead to the closure of additional schools." Oakland Reach has been assisted by an organization called Go Public Schools that's funded in part by some of the country’s largest charter supporters such as the Walton Foundation. 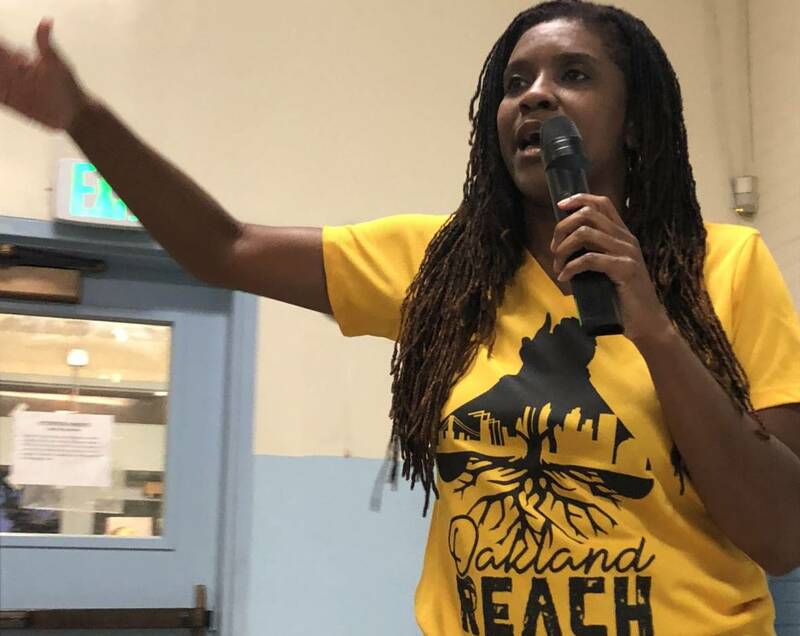 Oakland Reach has vigorously defended its right to use any support it can get to help educate parents in failing district schools about their right to try and enroll in better schools, including charters. Young said her group just wants access to a quality school, be it charter or district run. She says there are no strings attached to anyone and she bristles at the idea that her group is beholden to any outside operators. "The idea of people pulling our strings is insulting. We're not holding anybody else’s water. It's patronizing to say we are not smart enough to choose the best schools for our kids," said Young. "I'm looking forward to bringing folks to the table and figuring out how to be thoughtful about this. But I've got a lot of fight in me and the Oakland Reach has a lot of fight in it. Because we don't have anything to lose." This article has been updated to clarify charter schools’ admission policies.